Our Cornwall English Language Centre offers popular homestay and English Language Course programmes in the south west of England. Cornwall is a wonderful place to study and learn English – offering a peaceful and relaxing backdrop to studies while providing so much fun and excitement once the lessons are over for the day. Our Cornwall English Language Centre offers our popular Homestay Tuition and Group Short Stays programmes. Cornwall is simply a perfect location for your visit to the UK. The gorgeous rugged coastline of Cornwall is quite magical. The amazing sandy beaches provide brilliant water sports for the adventurous, from surfing to sailing, or simply a great place to relax with a book. The rocky coves and caves are home to stories of smugglers and shipwrecks and the coastal paths provide mile upon mile of wonderful walks with truly spectacular scenery around every corner. The Cornish coastline has a fascinating Maritime history and there are many attractions which give a great insight into this. The Lizard Lighthouse, and Lifeboat Station, Godrevy Lighthouse (the inspiration for Virginia Woolf’s novel To the Lighthouse) and The Maritime Museum at Falmouth which is well worth a visit. Cornwall is also the home and the inspiration for many artists and Sculptors both past and present. St Ives, as well as being a pretty fishing cove, is historically a home for artists and especially now with the opening of the Tate Gallery in the town. Cornwall offers many boat trips and river trips to appreciate the landscape. The Helford River with the famous Frenchmans Creek and the Seal Sanctuary at Gweek is a particularly enjoyable trip. Also enjoy beautiful historical buildings, such as Castle Drogo and Pendennis Castle, and magical tropical gardens such as the famous Lost Gardens of Heligan and Trebah. 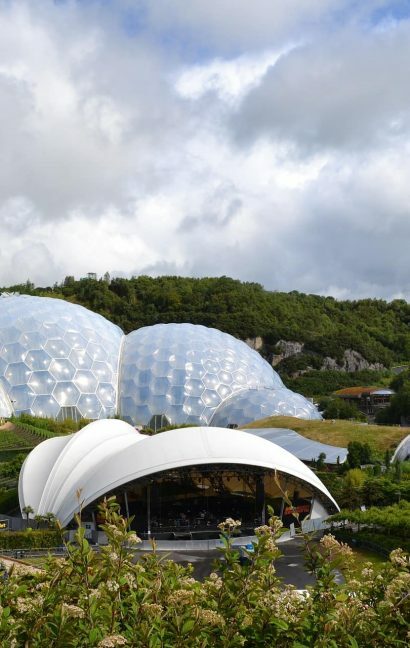 No trip to the Southwest is complete without a visit to the World famous Eden Project a real adventure and great educational experience for students of all ages. Airports. The region has a number of airports that has International and UK routes including Exeter Airport, Newquay Airport and Bodmin Airport. Trains. The UK rail network runs regular trains between London and Cornwall with a journey to Falmouth taking approximately 5 hours. Cars. Cornwall is very accessible by car with the motorway and dual carriageway network covering much of the journey. However it is worth noting that as you travel through Devon and Cornwall you will be travelling on smaller, slower roads and this will increase your journey time. Coaches/Buses. National Express operate coach services across the UK and will be a cheaper way to travel over longer distances than train or car. Locally you will find good bus services throughout Cornwall which makes it easier to get to all the towns and attraction of note. Our host families are based in the popular coastal areas of St Austell and Falmouth on the southern edge of Cornwall. 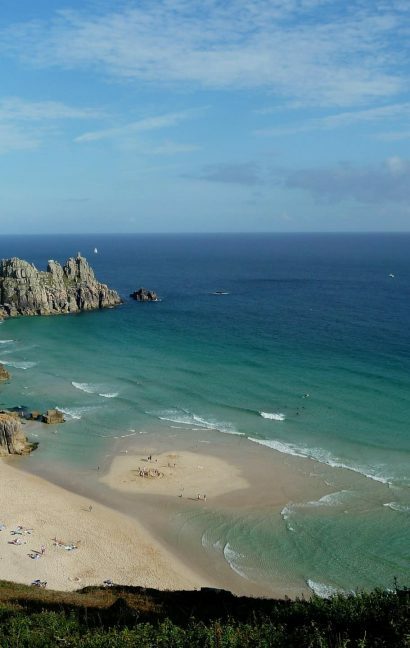 This is a very pretty area of Cornwall and is a great base to explore both of the Cornish coasts and the many attractions the region has to offer. If a School Group wants to enjoy a break in England without English lessons then our host families in Cornwall offer the perfect choice of accommodation. Staying in their home the student will be able to fully immerse themselves in the traditions and culture of the region and benefit from their hosts local knowledge to discover the real England.